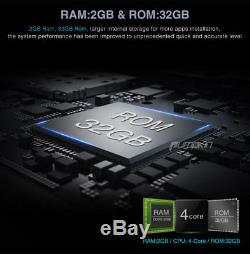 10.1 Android 7.1 RAM:2GB Autoradio Car Stéréo Lecteur 2 Din GPS Navi OBD2 DAB+. 3G, WIFI, 1080P, Radio, FM, DAB, OBD2, AV-OUT. 10.1 inch 1024600 HD Touch Screen. Pure Android 7.1 Nougat. Quad-core CPU Processor 1.6 GHz. 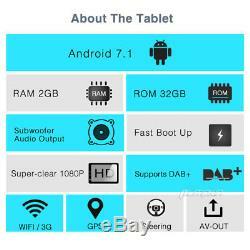 10.1 Touchscreen Quad-core Android 7.1 Nougat Car Stereo & RAM:2GB/ROM:32GB. OS: Android 7.1 Nougat. CPU: Quad-core CPU Processor 1.6 GHz. Working Voltage: 10.814.8V DC. Boot time(2nd time): about 2s. Screen Size: 10.1-Inch Digital Screen. Capacitive Touch Screen (5 points). Image Brightness /Contrast/ Color Adjustable. 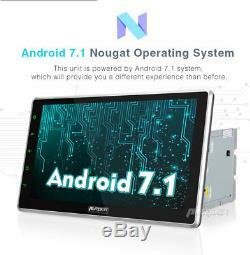 This unit is powered by Android 7.1 system, Quad-core CPU Processor 1.6GHz. Which will provide you a different experience than before. Built-in TDA7851L amplifier ICSupports subwoofer audio output, and control it separately. Max audio output: 4 X 50W. Panel buttons light RGB color are available, you can change it freely to match your car. Support online and off-line navi app, support 3D Maps and voice guidance, your long journey will no longer be bothered by the nightmare of getting lost. Map Storage Mode: Micro SD Card. 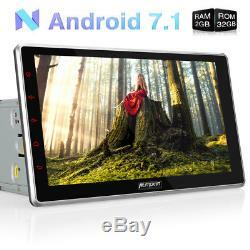 Support radio/Bluetooth/USB/SD playback while navigating. DAB+ Digital Radio (Extra DAB+ box Y0251 required). Digital Audio Broadcasting allows you multi-regional music with your local well-known and also new channels. CD sound quality and noise-free in excellent transmission make DAB Radio a special experience in the vehicle. Which make DAB broadly accessible to most of Europe. For this unit, it can output almost everything to your headrests, even you play the video from USB/SD /online youtube video, Many headunits in the market can only output the DVD video to the headrest. Built-In Microphone in the control panel for hands free calling function. External microphone also included for free clear voice calling. Attention: The Bluetooth just for audio stream transfer, it doesn't support file transfer or Internet tethering. Change the track, volume, etc. 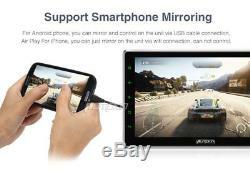 Conveniently without taking your hands off the steering wheel, which makes your driving much safer. 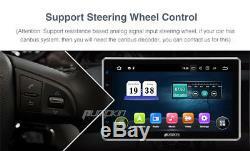 (Attention: Only support resistance based analog signal input steering wheel). High quality radio IC: NXP TEF6686 , with good radio reception. FM frequency range: 87.5-108 (Europe), 87.5-107.9 (America), 65.0-108.0 (Russia). Built in micro SD card slot/ USB Port. Support SD card/ USB drive up to 64GB. Support Audio Formats: MP3/WMA/WAV/APE/FLAC/OGG/AC3, etc. 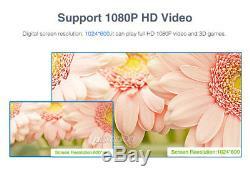 Support Video Formats: RMVB/AVI/MPG/MPEG/VOB/MOV/ASF/FLV/3GP/MP4, etc. 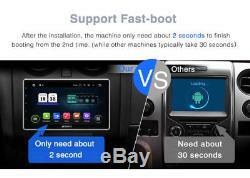 Compatible: Most of Bluetooth type ELM327 OBD2 scanner and wifi OBD2 (Search Y0004/Y0034 on our store). Display Data: Real-time data and trouble codes from vehicles computer. Attention: Few cars may not support the ECU reading accessing, those cars will not work this function. 3G: Require external USB 3G modem (Search Y0014 on our store) and your local Internet SIM card to be connectedOnly support WCDMA 3G bandwidth. WIFI: Built in WIFI modem. Direct turn on WIFI function to search and connect to any free WIFI hotspots. It comes with 1.5m long WIFI antenna for better signal reception. Support RCA type reverse camera input. Utomatically trigger to reverse camera when revers. We will choose the lowest price for your cities. 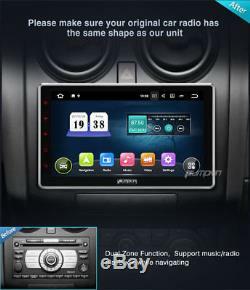 We are professional OEM electronic products supplier, we will bring you more surprise starting from Autoradio Navigation. Our Telephone Number:+0086 0755 23761796, Please feel free to tell us on working time! 1Android 7.1 Nougat, RAM:2GB, ROM:32GB 2Built-in TDA7851L amplifier ICSupports subwoofer audio output, and control it separately. 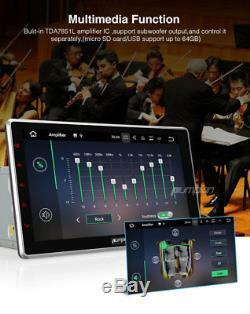 Support mirror link function, You can use your smartphone's online GPS to mirror on this unit, support DAB+ function(optional) 3Adjustable Viewing Angle, Support output almost everything to the headrests, even it play the video from USB/SD card, or online Youtube video. Built in USB Port/ Micro SD Slot(up to 64GB), WIFI(Built in WIFI modem)/3G(Extra device required) 4 Support Bluetooth call /audio play, Sync phonebookquick search contacts, external microphone, Support GPS Navigation(map software or app not included), 5 Support Fast-boot. After the installation, this machine only need about 2 seconds to finish booting from the 2nd time. 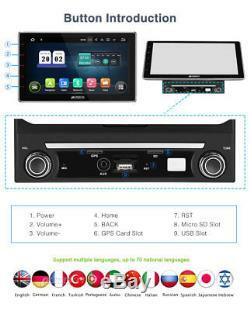 L'item "10.1 Android 7.1 RAM2GB Autoradio Car Stéréo Lecteur 2 Din GPS Navi OBD2 DAB+" est en vente depuis le mardi 18 septembre 2018. Il est dans la catégorie "Auto, moto pièces, accessoires\Autoradios, Hi-Fi, vidéo, GPS\Multimédia embarqué\Unités principales systèmes stéréo". Le vendeur est "star_cardvd" et est localisé à/en Hamburg.